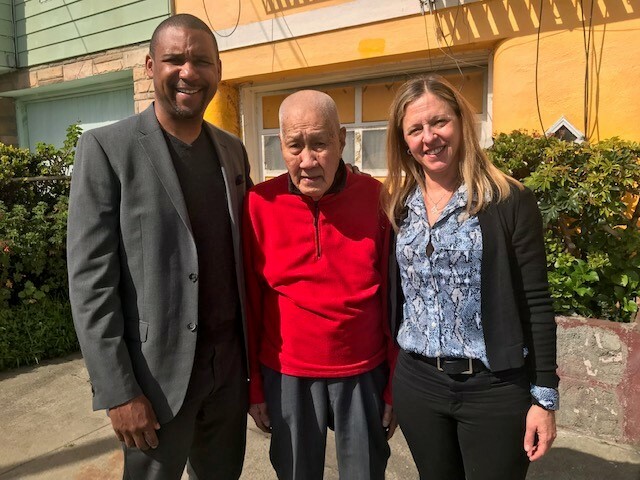 On Thursday, March 21, over 40 Meals on Wheels SF(MOWSF) volunteers delivered 150 disaster preparedness kits to homebound seniors in the Tenderloin as part of the annual, nationwide senior hunger awareness campaign known as March for Meals. 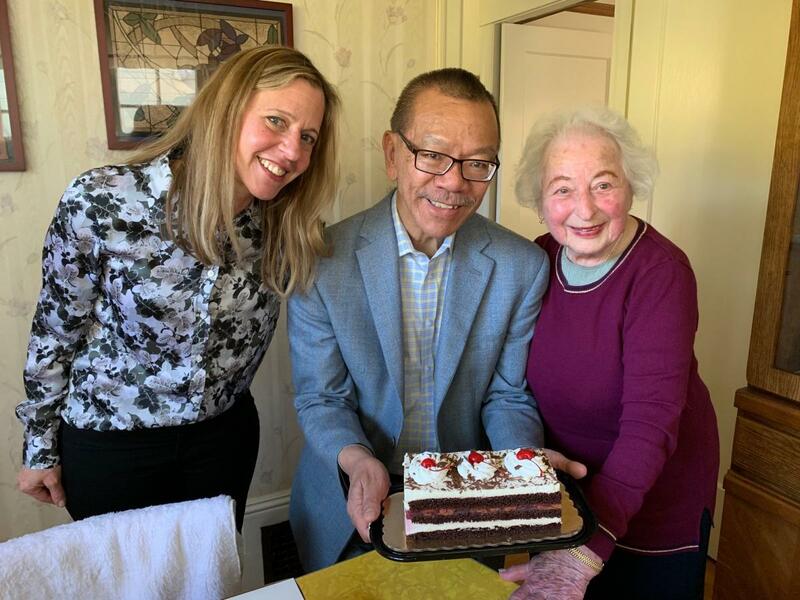 Meals on Wheels America started the March for Meals campaign 17 years ago to raise awareness around the escalating problem of senior hunger and isolation in the U.S. and celebrate the signing of the Older Americans Act (OAA) in March 1972, by then-President Richard Nixon. OAA paved the way for the establishment of a national nutrition program for adults aged 60 years and older. 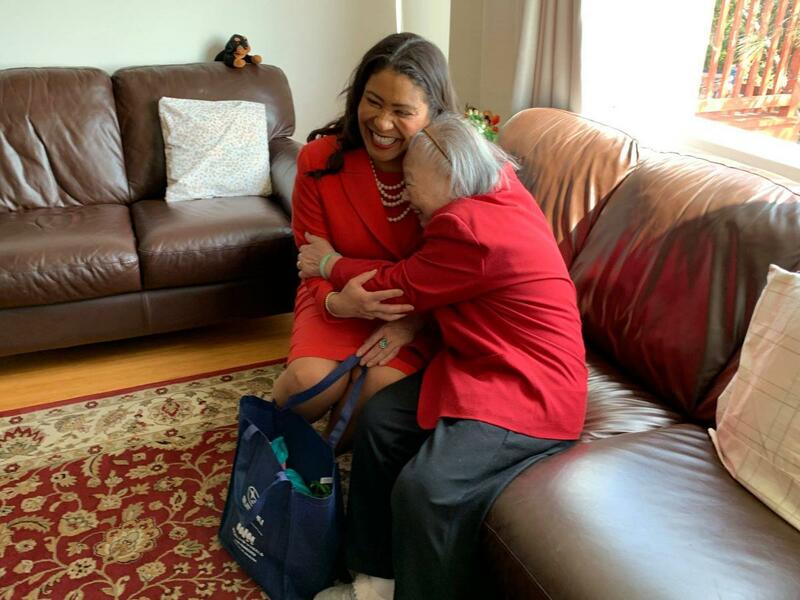 During the month, MOWSF connected many of our political leaders to seniors residing within their Supervisory Districts. The legislative leaders delivered a meal, plant, and cupcakes donated by Kara's Cupcakes, to our elderly clients as well as exchanged life-stories and some laughs. Supervisors Fewer, Mar, Mandelman, Walton, Yee, and Brown have participated so far this year. 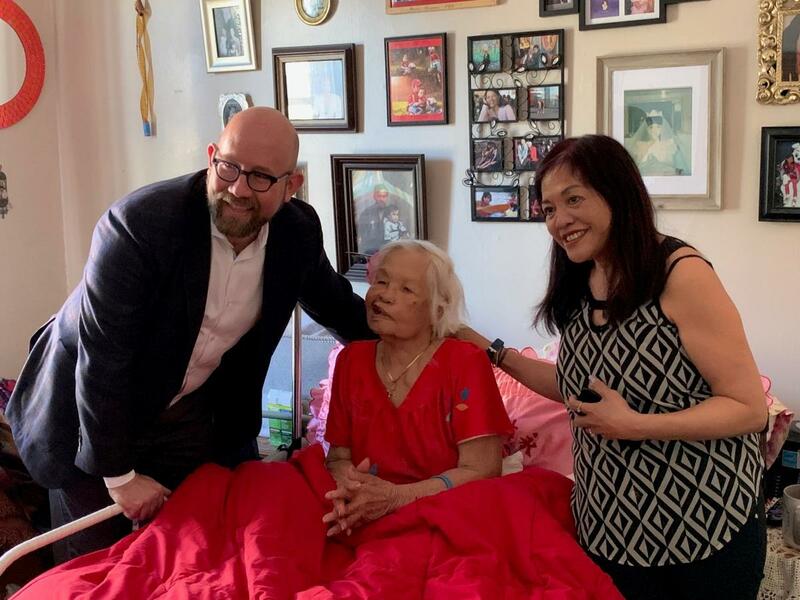 On March 28, Mayor London Breed visited a client in the Miraloma district for what turned out to be a lovely visit full of laughter and the mutual exchange of stories. We were also thrilled to have received a Proclamation signed by Mayor Breed declaring March 21, 2019, March for Meals Day in the City and County of San Francisco. To see pictures from this year's March for Meals, click here. As part of March for Meals, we are encouraging everyone to stand up for seniors to end senior hunger and isolation. Take action by contacting your congressional representatives here and have your voice heard!